Captivating images of the Dominican Republic encompass its beachfront beauty, with 1,000 miles of coastline boasting sun-warmed sands dotted with swaying palms and all-inclusive resorts where ultimate relaxation meets thrilling nightlife. Here, we reveal yet another side of this magical Caribbean destination as we delve into cultural experiences reflective of its enduring past and dynamic present. Click the button below to explore Dominican Republic vacations that provide a perfect blend of beach beauty and cultural exploration. While the eastern tip of the Dominican Republic entices with its string of blissful beaches, cultural explorers can travel westward to the capital city of Santo Domingo. Created just a few years after Christopher Columbus touched land, this city is the oldest permanent European settlement in the Americas. 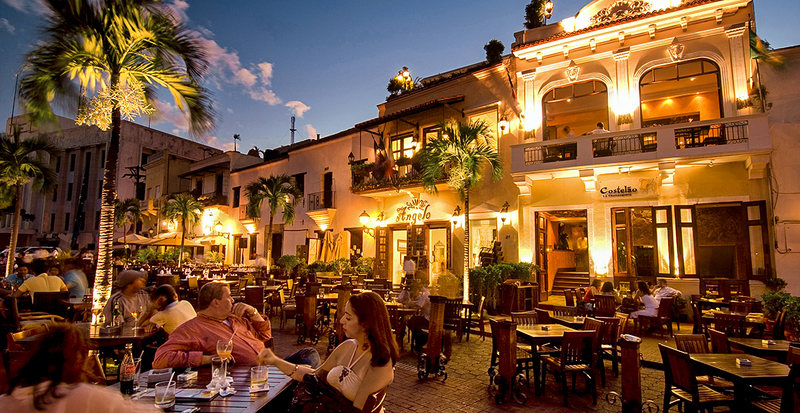 It’s so connected to its colonial roots that its Zona Colonial has been embraced as a UNESCO World Heritage site. Step into the past in Plaza de España and marvel over the double archways of the Moorish-influenced Alcázar de Colón (built by Columbus’ son); meanwhile, modern Caribbean flair emerges from cafés lining the plaza. 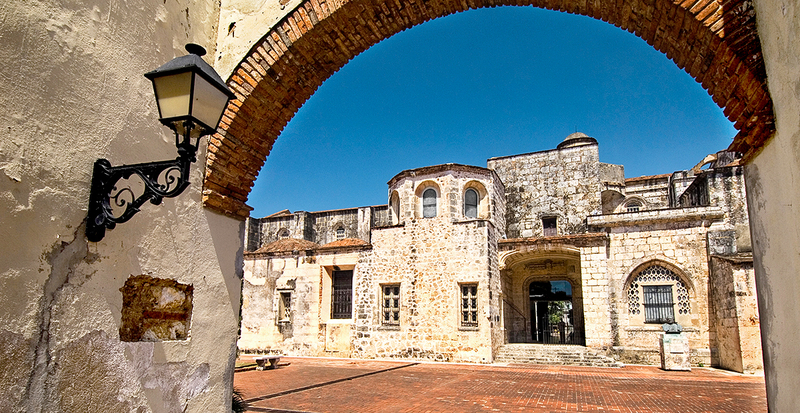 As the oldest continuously inhabited European settlement in the Americas, Santo Domingo is a city of firsts: the first cathedral, hospital and university, among others. Among these "firsts," its enduring legacy is also its most intriguing. The first golden-hued stone of Basilica Cathedral of Santa María la Menor was set in 1512, making it the oldest cathedral in the Americas. Not only does this structure mesmerize with its silver-chiseled altar, but it also houses a collection of ancient artifacts, artwork and jewelry. 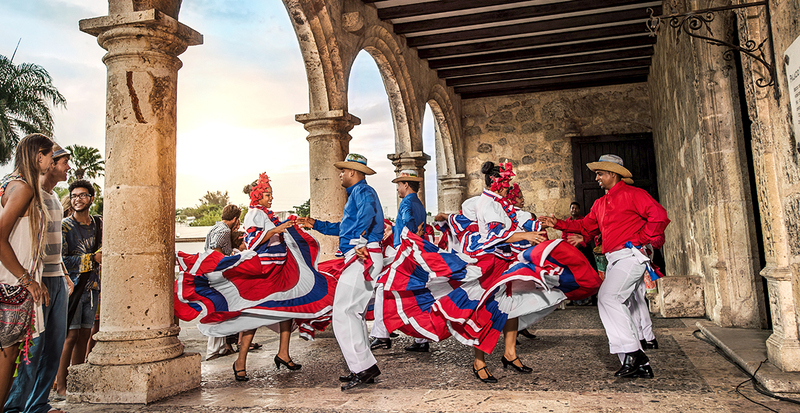 Capture the spirit of the Dominican Republic as you witness the beloved merengue dance. Locals clad in brilliantly colored costumes spin and twirl in time to joyful music. Deeply rooted in African traditions and European influences, this national dance is performed along with the equally captivating rhythms of bachata in venues throughout the city. 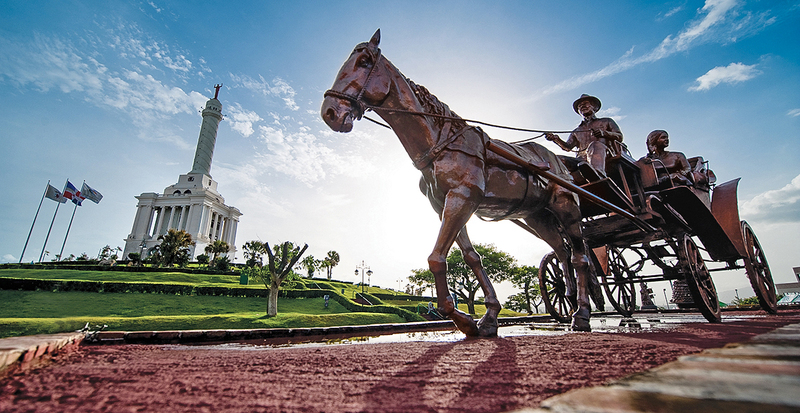 Tap into the local lifestyle when we arrange your trip farther north to the historic city of Santiago de los Caballeros. Situated on the river’s edge in the Cibao Valley, Santiago is abuzz with dining, nightlife and merengue típico. Our Favorite Sight: Ascend the soaring Monumento de Santiago for stunning views of the city with its densely packed buildings and sprawling green spaces. Cigar aficionados consider smooth, complex Dominican brands to be perfectly on par with those found in Cuba, bolstered by the fact that they’re easy to procure on your Caribbean vacation. 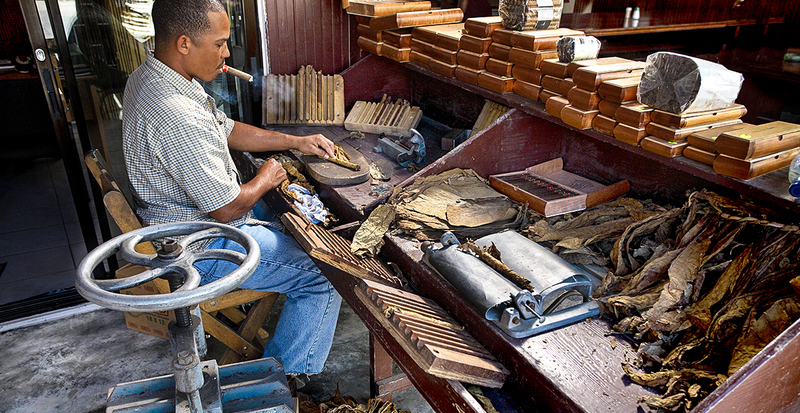 See firsthand how tobacco sourced from the fertile Real and Cibao valleys is aged, sorted and hand-rolled in an authentic cigar factory. 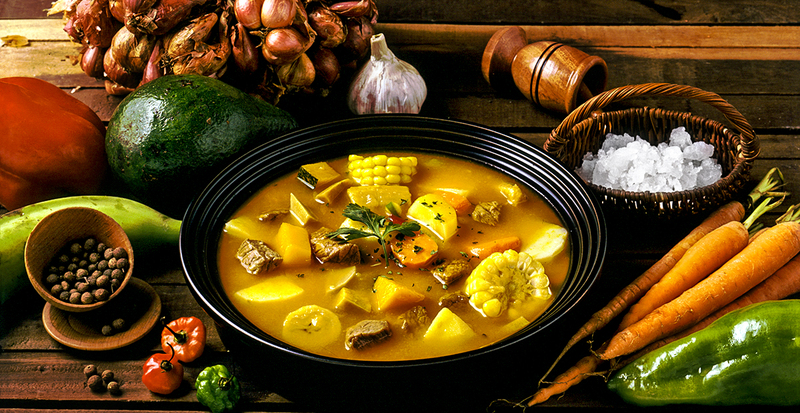 No exploration of the Dominican Republic is complete without savoring its national dish, sancocho. This hearty stew marries rich flavors with Caribbean ingredients, including seasoned meats, plantains and a variety of local root vegetables. Our Tip: Pair traditional Dominican flavors with seaside ambiance at Lagos Restaurant in Casa de Campo Resort, where sancocho is made with seven types of meats. Experience the history, traditions and beauty of the Dominican Republic when you contact us today.